Another excellent novella in the Star Trek ebook-only line, this time giving the story behind one of the events that occurred between earlier novels - Captain Picard's wedding. The story is a succinctly told adventure featuring a number of returning guest characters that Joseph writes perfectly. 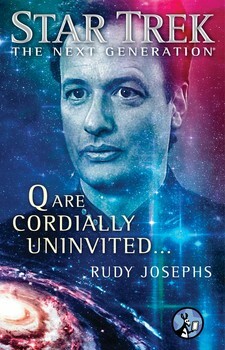 I very much enjoyed reading it and hope the author is able to contribute further to the Trek novel line. 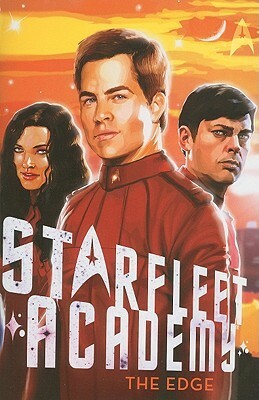 'The Edge' is the second book published in the new Starfleet Academy series featuring Kirk, Spock, Bones & Uhura as we met them in the 2009 film. Despite the release order, this appears to have been meant to be the first book, and serves as more of an introduction to academy life - explicitly stating that some of the events occur within the first week. Like 'The Delta Anomaly', the writing style seems aged a little on the young side of 'young adult', while the content of the story is probably about the right level, however one is more readable for a 'grown up'. The plot is loosely based around a medical mystery, however the main focus is on the cadets' life at the academy. To me, this comes across as a little implausible. While I would expect a military academy to be focussed more on physical than academic achievement, my idea of Starfleet Academy was that it was closer to a modern university facility than how it is portrayed here. The characters are well written, Kirk coming across particularly as less of a jerk than elsewhere. Spock is rather awkwardly shoe-horned into the storyline but the book deals well with the beginnings of his relationship with Uhura, and drops in a few references that will make long-term fans smile. Overall it's certainly an improvement over the first book in the series despite the chronological oddities (this book was originally announced to be the pilot novel). Although a simplistic quick read the plot worked and the characters fit in well. I'm now looking forward to more from this series.